Downloading and opening this m3u encues over 3000 mp3s in your audio player– essentially ALL of Treetrunk Records. Mark Blood has created 2 more mixes using tracks from the Treetrunk Records netlabel. Special thanks to Mark for his efforts. Mark Blood has created a second mix using only tracks from the Treetrunk Records netlabel. This is a mix by Thomas Park of tracks by various artists. 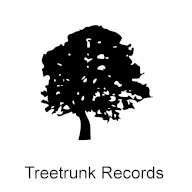 All of the music was released on the Treetrunk Records netlabel.